Ultimately, what you pack for a trip is up to you. But there are a few accessories that could make the journey a bit easier. Here are 18 items that we would consider always packing — some are no-brainers, and some are quirky, but we made sure each is useful, highly rated by users, and won’t take up much room in your carry-on or checked bag. So before you board your next plane, bus, ship, or train, be sure to pack one or two (or all) of these accessories. This simple bungee cord secures your secondary bag on top of your luggage, taking the stress off your shoulders or back, and making it easy to travel with carry-on bags. Planning to shop? If you’re bringing more things back with you on the return trip, consider packing a foldable duffel. 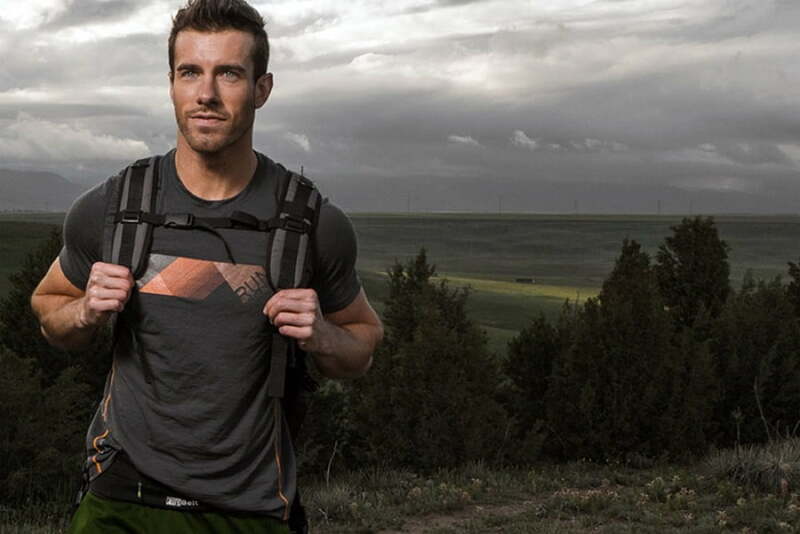 We like the durability, storage, and versatility (it can be worn like a backpack) of Eagle Creek’s Cargo Hauler series, which comes in three sizes. It folds up neatly when not in use, although it isn’t as compact as many other duffels. We still prefer it over Eagle Creek’s Packable Duffel, especially if we plan to check it. For those who wish they could bring a Waterpik flossing machine with them, the new Sidekick gives you the same experience as the company’s countertop models, but it’s designed to “collapse” into a compact unit that makes it easy to pack. Worried about luggage exceeding an airline’s weight limit? 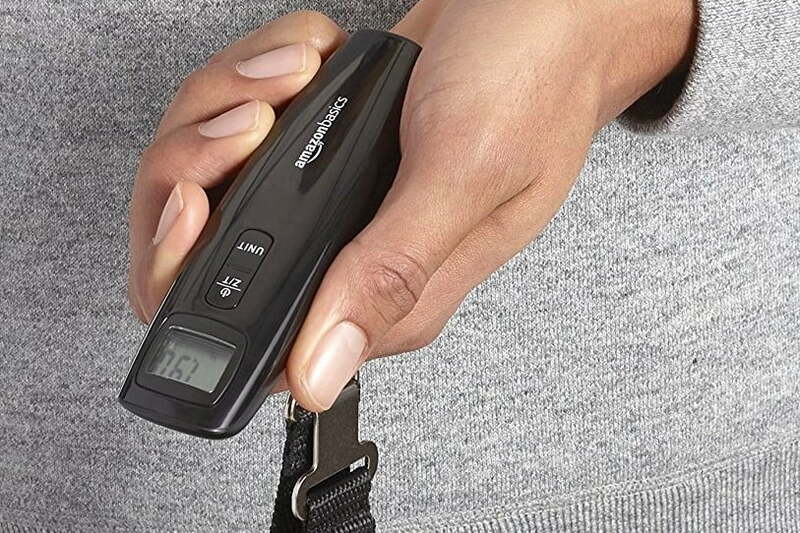 A small luggage scale is an easy way to check. You can get one for less than $10, like this digital version from Amazon. Accidents happen. For minor scrapes and cuts, having a portable first aid kit is handy. This one from Coleman offers a good selection of bandages and wipes, all stored inside a compact tin box. Portable batteries are a dime a dozen these days, but the Ventev Powercell is unique in that it can plug directly into a wall outlet. 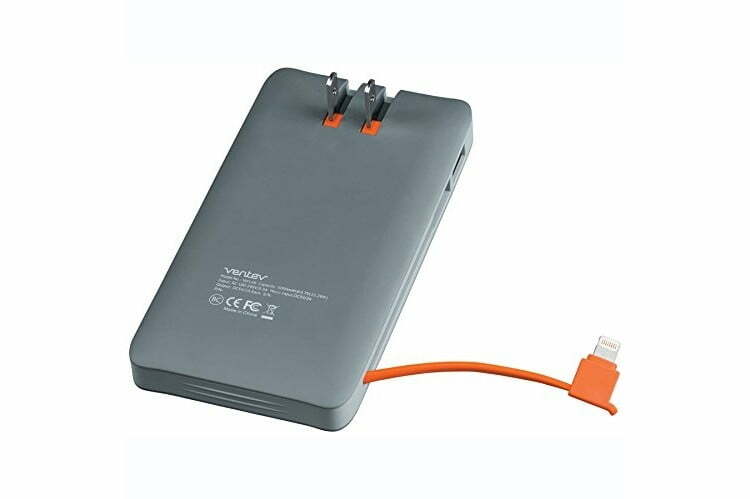 When fully charged, there’s enough juice to recharge a phone at least three times. A built-in Lightning cable supports iOS devices, and there is a USB port for connecting other devices. Check out some other portable battery options. 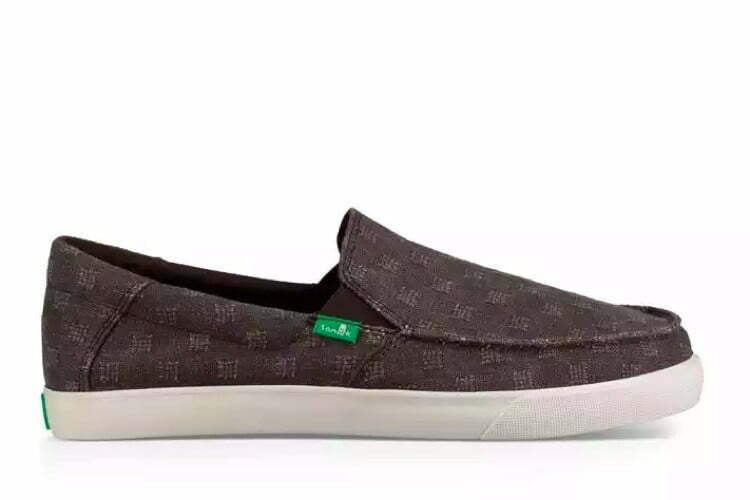 Slip-on shoes are great for travel, as they don’t require much room in your luggage. The Sideline Waffle from Sanuk are well-made, stylish, and comfortable, and they have an antimicrobial insole that helps block out odors from a long day of use. Don’t worry about crushing it underneath a pile of clothes — it will hold its shape. 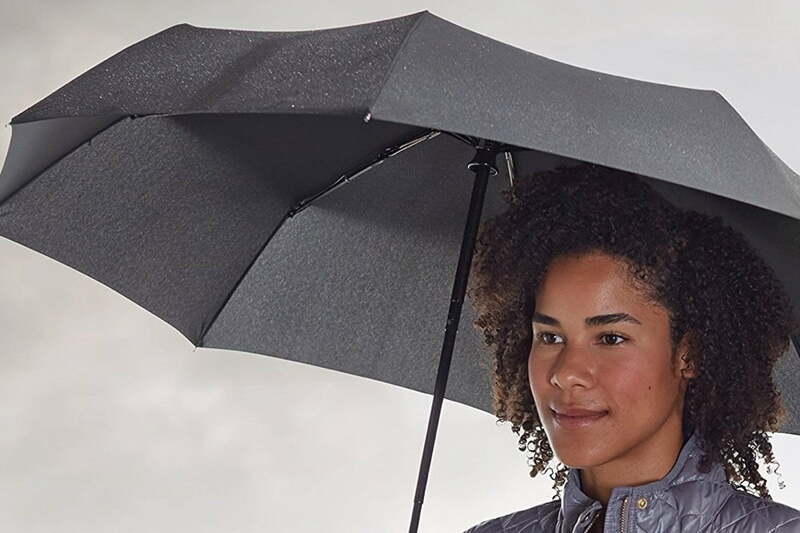 This affordable umbrella automatically opens and closes. It isn’t the most compact you can buy, but it’s durable and well-rated by users. Opt for the version with the vent, which is only a few dollars more but provides protection when it’s windy and rainy. Whether you’re camping, on an extended trip, or just want to pack light, this portable “washing machine” lets you clean your clothes while on the road. Simply fill it with detergent, water, and clothing, and rub it for a few minutes. Then, just dry. You can purchase a bag on its own, or get a kit that includes a drying line. Sure, any water bottle would suffice, but as you know, we tend to like some tech. The Spark is a great-looking bottle, but inside is a Bluetooth sensor that tracks the amount of water you drink. If it thinks you’re falling behind on hydration, it flashes a light and sends a notification to your phone (via an app for iOS and Android). It also syncs with health apps, like Apple Health and Google Fit. You may be surprised to discover how little water you’re actually drinking. A seat cover for your plane, train, or bus seat may sound silly, but have you seen how gross a seat can be? We were on a delayed flight once due to a soiled seat situation. SeatSitters makes claims about protecting against germs, but we just like that it’s designed to give you a clean area to sit on, whatever the mode of transportation. The FlipBelt is the stylish alternative to a fanny pack. It secures important things like keys, credit cards, IDs, phones, and other small items you might need. Because it’s wrapped around your waist and hidden under clothing, it’s less susceptible to thieves. The FlipBelt is also great for when you’re exercising at the gym. 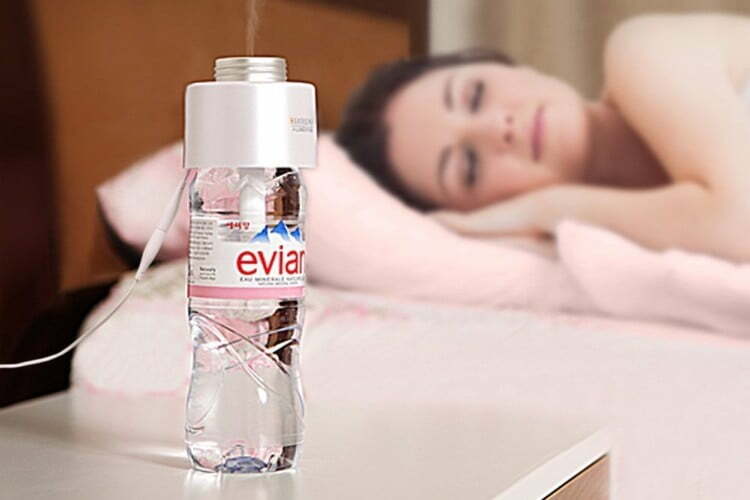 This USB-powered portable humidifier is an easy way to create moisture in a dry hotel room. Simply attach it to a bottle of water, and turn it on. It also doubles as a cooling mister (just use cold water) or a room deodorizer. Got a tot in tow? This carry-on lets you convert its telescoping handle into a baby carrier. The seat supports toddlers up to 33 pounds, and an extra set of wheels makes the whole contraption safer when a child is riding on it. You can’t store the kid in the overhead compartment, though. Forget luggage tags. 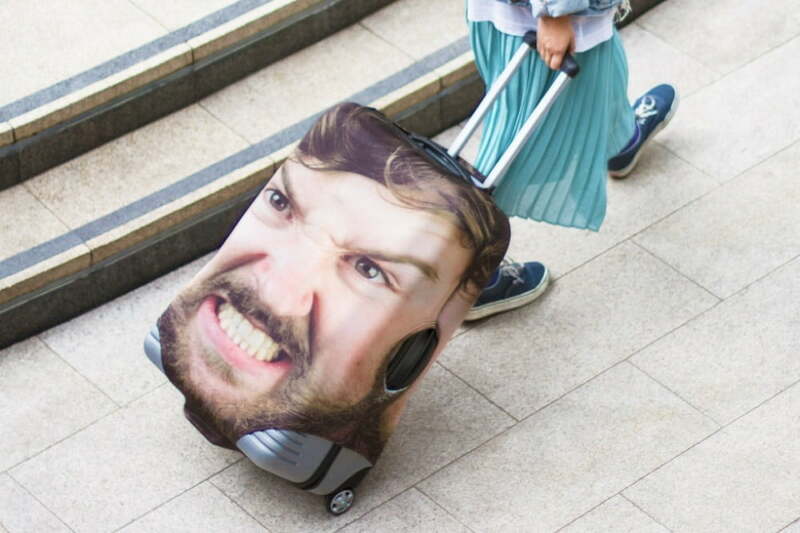 This personalized cover lets you put your face over a suitcase. There’s no mistaking your bag for someone else’s at baggage claim. Got stains on your clothes? 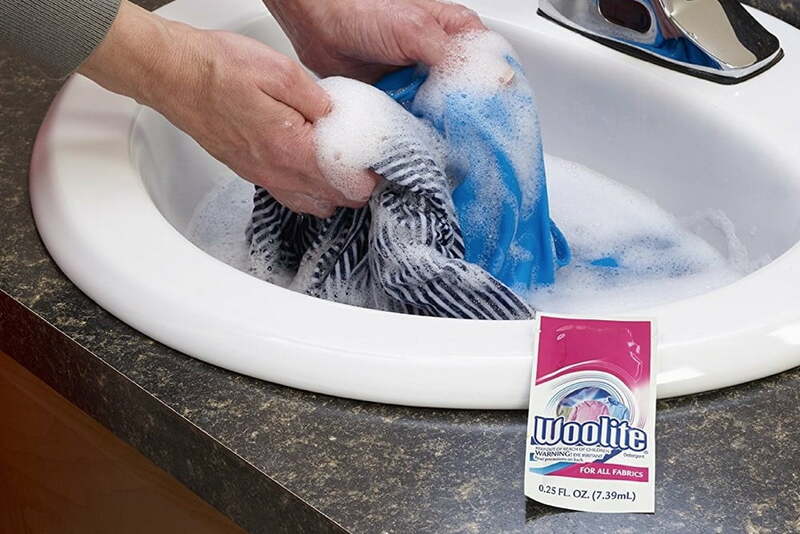 These travel-size laundry detergent packs let you handwash clothing in the sink, bathtub, or the Scrubba mentioned above — whether you’re at the airport or hotel, on a cruise ship, or on the road. One packet can handle multiple washes, and it meets Transportation Security Administration guidelines for carry-on liquids. Another popular option is Tide. Want to keep your eyes on the sights, rather than the map app on your phone? When paired with your phone, these insoles use GPS navigation info to provide directions via haptic feedback to your feet. Originally designed to assist the blind, the system has benefits for travelers, too. If you don’t care for insoles, the sensor units can be removed and attached to your shoe laces. Plus, it can also track fitness and sync the info to Apple Health or Google Fit apps.